Home › Wine › Remy Champagner Rosé brut. 12 % Vol., 0,75 l Fl. Remy Champagner Rosé brut. 12 % Vol., 0,75 l Fl. The champagne rosé is the only rosé produced in this house. It impresses with its clear fruit and great freshness. 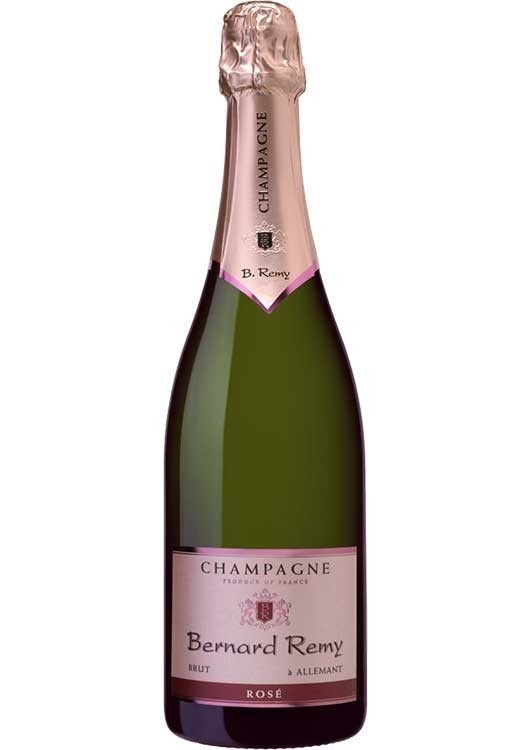 This champagne regularly receives highest awards in various competitions. Perfect for aperitif, but it also goes well with high quality salmon, sushi or a chicken breast. Champagne house Bernard Remy, founded in 1970, owns 11 hectares of vineyards in different regions of Champagne. The estate itself is located in the village Allemant at the so-called Côte Sezanne. The family-run business attaches great importance to healthy soils, restrained yields perfectly matured grapes and time in winemaking. This is reflected in an excellent way in his magnificent products! Aroma: Fresh and lively scent of red berries.